GEM Car Battery San Diego - We Deliver Call Today! For Retail accounts, please note you will need to use a third party to purchase batteries from us. Too many DIY problems exist with the GEM battery replacement. A GEM Car battery is a 12 Volt deep cycle battery that is designed for the deep discharging and recharging cycles that a GEM Car requires. 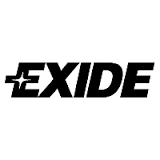 Inexpensive marine batteries from Costco will not survive more than a few months under normal driving conditions. Only a 12 Volt battery group size 30 or 31 with 100 or more amp hours should be used. Battery group sizes 24 and 27 are too small and do not have the capacity to continuously operate the GEM Car. 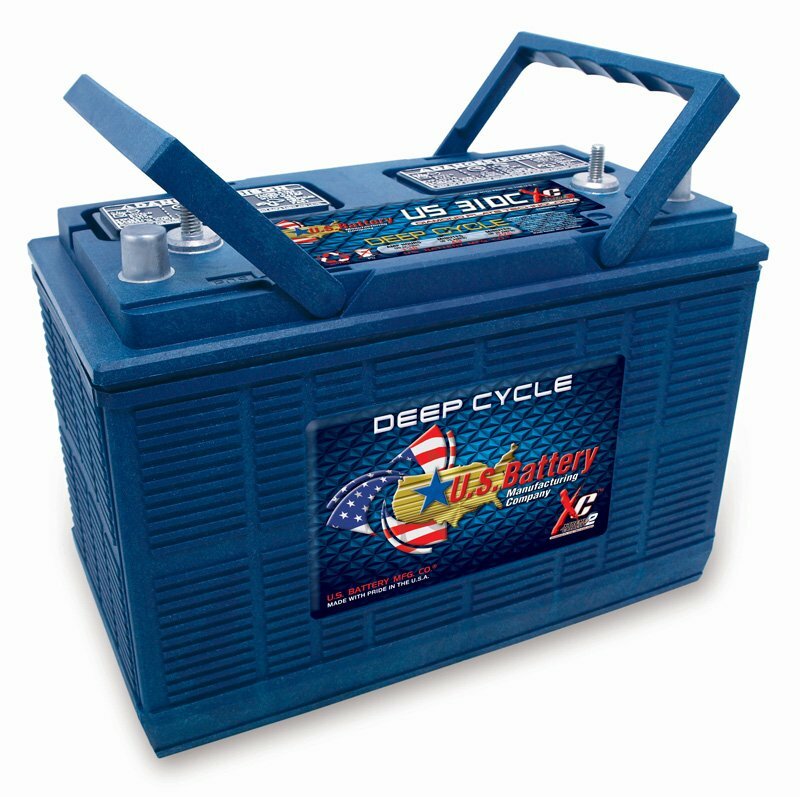 The 12 Volt deep cycle battery is available in flooded (often called wet cell or standard lead acid) AGM or GEL cell batteries. AGM type batteries must be the high cycle type and not UPS type for the GEM Car. Only AGM (absorbed glass mat) batteries by Leoch or Trojan Overdrive should be used! A flooded GEM Car battery will gas and cause corrosion on the battery tray and cables, and can leave a mess on your floor. The GEM Car’s on board charger must be set to charge the type of battery that is installed. It is advised to replace the factory Zivan with the Quick Charge or Delta Q charger for better battery results. We will refer you to a GEM tech for general repair, algorithm change or any other need your GEM has. Example, a GEM Car that has 12 Volt GEL Deep Cycle Battery from Deka must have the GEL battery profile selected. Same is true for flooded GEM Car batteries. You can use a YouTube video guide to help you change the onboard charger profile. For GEM Battery Installation & Repair, Ford Think Battery Replacement and Repair here are two local sources. They are mobile technicians but do not work for us. Deep Cycle Battery San Diego Offers Multiple Brands of Deep Cycle Batteries. Low Speed Vehicle Battery Choice for Longevity by Professional GEM Car Technicians prefer US Battery and Crown Heavy Plate, Industrial Batteries. 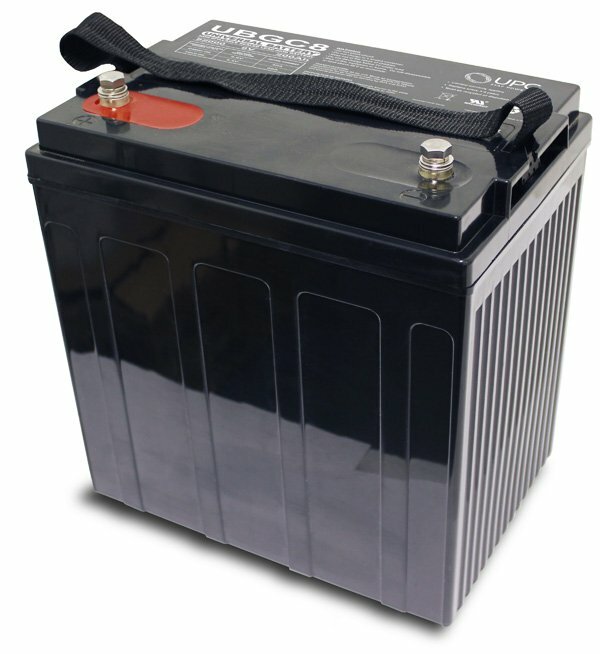 The Crown 31DC130 Made in Ohio has high Life-cycles and is a traditional, flooded battery that must be maintained monthly. Deep Cycle Battery San Diego Recommends Crown and US Battery brands for Flooded Cell Category. But if you have a choice, opt for AGM and an upgraded charger. Battery Warranty Claims with Us! 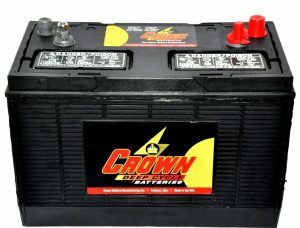 New Crown GEM Car Battery 31DC-130 $179 ea with exchange. The Crown GEM Car Battery fits right in the Gem car and should be used when you have two batteries in the front and four batteries under the seat configuration. Note the 31DC-130 require monthly maintenance and consistent charging. It’s about commitment. In everything Crown Battery does. From the raw materials they use…to the highest quality manufacturing processes and innovative product-development engineering…to the people that build, sell and provide the one-on-one technical support…at Crown, you’ll find there’s a total dedication to serving the customers who rely on their products and trust in the reliability of Crown. *(Cores are required to void core charge of $20) Local Delivery is Free in San Diego – Retail Battery Installation Available by Keith or Lalo. Replace the factory Zivan onboard charger when replacing batteries. The 31CXC require monthly maintenance and consistent charging. Gem Car application and it is maintenance free and less expensive than the Deka Gel GEM Car Battery! 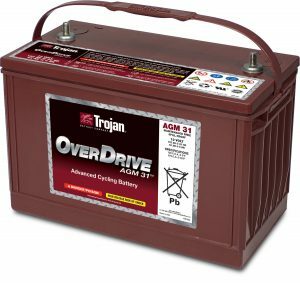 Trojan claims the Overdrive 31 has higher cycles than the Gel 8G31 battery. New Trojan GEM Car Battery Overdrive AGM 31 $229 ea with exchange. The Overdrive AGM 31 Battery fits right in the Gem car and can be used in both the two batteries in the front and four batteries under the seat configuration, and all six batteries under the seat configuration. Onboard Charger must be configured to AGM. 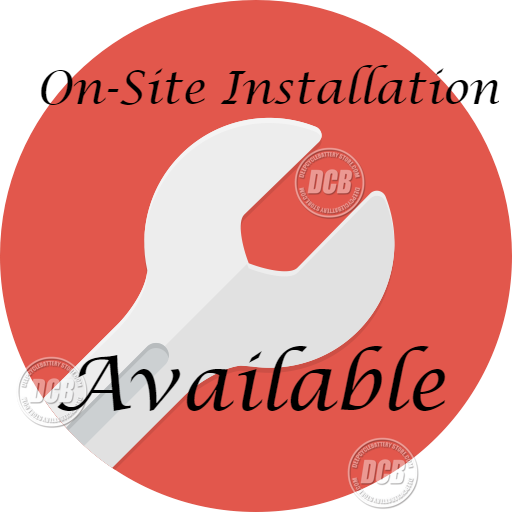 *(Cores are required to void core charge of $20) Local Delivery is Free in San Diego – Retail Battery Installation Available by Keith or Lalo. 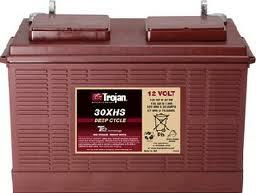 New Trojan 30XHS Battery Price $199 ea with exchange. 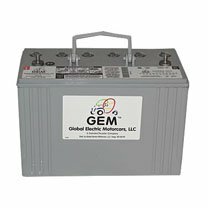 12 Volt 130 amp hour rated: This battery is the first battery used by GEM Car as OE. In our opinion, it is no longer the battery of choice for Gem Car application. *(Cores are required to void core charge of $20) Local Delivery is Free in San Diego – Retail Battery Installation Available by Keith or Lalo. The Trojan Black OEM Battery is Equivalent to the Trojan T-1260 12 Volt 140 amp hour. 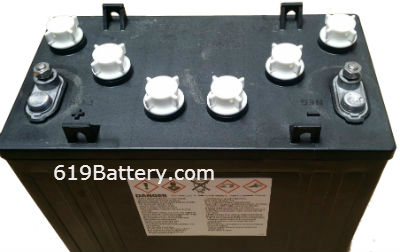 8G31 Deka 98 amp hour rated: This battery is the factory replacement gel battery for GEM Car. It is a powerful deep cycle battery with centered studs for direct replacement. 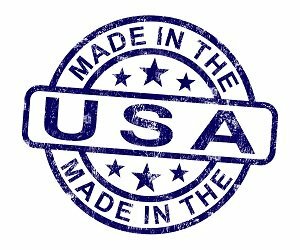 Deka is mfg by East Penn and made in the USA. The battery handles make it easier to install. Note the factory Dominator label is not included to save you money. *New Deka GEM Car GEL Battery for Sale: $299 ea with core *(Cores are required to void core charge of $20) Local Delivery is Free in San Diego – Retail Battery Installation Available by Keith or Lalo. 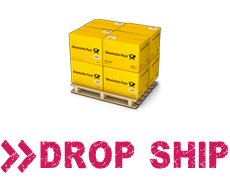 Call Us To Quote Factory Drop Ship to Your Door! LPG12-100 amp hour rated: This battery is an aftermarket replacement gel battery for GEM Car and has a history of lasting longer than the OE Gel battery. It is a well made, heavy plate design, deep cycle battery with insert style terminals. 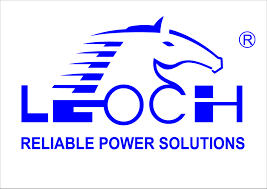 Leoch is a billion dollar OE mfg for powersport manufactures. The battery handles make it easy to install. 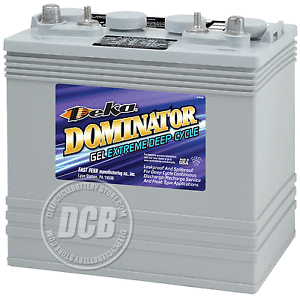 Use the Deka Gel chemistry deep cycle battery if your E6 Gem has the OE Delta Q charger onboard. If the charger fails or if you already upgraded to the Ride for Fun or Bullet Proof, we advise using the less expensive but very reliable Leoch AGM chemistry 8 V battery instead. All Prices are plus tax and with exchange for old batteries. Today’s high cycling AGM batteries are less expensive than gel and maintenance free. It is necessary to have the correct or best charger for any battery you use. If you live in a hot climate area like Arizona, GEL chemistry GEM Car batteries will endure the heat better than AGM. We recommend not using the OE Zivan onboard charger when it comes time to purchase another charger. Delta Q and Quick Charge brands perform well. What is GEM Car Battery Reconditioning? 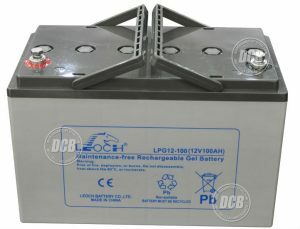 If a GEM battery is left in a discharged state it will become resistant to most battery chargers. Often the onboard charger will not operate because the battery pack voltage is too low for the charger to detect. 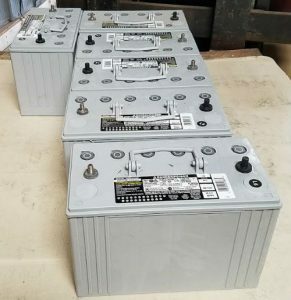 Deep Cycle Battery San Diego has a battery desulfation charger that has the ability to return the lead sulfite from the plates to the electrolyte. The process can take 24-48 hours depending on the condition of the battery. Flooded cell GEM batteries that have been dry for 30 days or more and not a candidate. AGM and GEL GEM car batteries left in the GEM off charge from more than nine months are not likely to be recovered. Based upon field observation and premature failure we do not recommend using any marine or dual purpose deep cycle batteries for the GEM. Yes they are less expensive but the will not sustain the high cycling demand of the GEM Car. Interstate AGM batteries are Thin Plate Pure Lead and are great for cranking and some light cycling duty but do not survive the deep cycles from the GEM. GEM cars are used by local, state and national government agencies, resorts, master-planned communities, universities, medical and corporate campuses, as well as by sports teams, taxi-shuttle services and individual consumers. There has been over 45,000 GEM Car’s produced since 1998. Deficit Charge is a charge cycle in which less charge is returned to a battery bank than what was withdrawn from driving the GEM Car. Deficit charge can occur in situations where AC power supply is poor due to oversharing the 110 AC outlet with the GEM or if the extension cord is too long and undersized. If the flooded / AGM or Gel Gem Car batteries experience repeated deficit charge cycles and are left in a partial state of charge for long periods, they will become progressively more difficult to charge and suffer a loss of capacity. When charged, voltage will rise more quickly in batteries with sulfation than in normal batteries, falsely indicating a high state of charge. 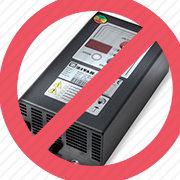 The Delta Q and Zivan charger will falsely report 100% state of charge when the batteries have not been fully charged. Recovery from this condition can sometimes be accomplished by an equalization charge.